To replicate the success of Asus ZenFone 2 Laser (Rs 9,999), Asus has launched it’s successor the all new Asus ZenFone 2 Laser 5.5 with Octa-core SoC, 3GB RAM priced at Rs Rs 13,999 in Black, Red, and White colour option. 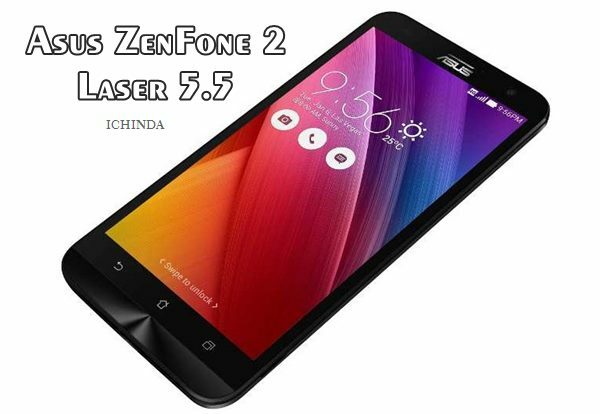 Asus ZenFone 2 Laser 5.5 is available in Indian market from 27th Oct. through online retailer Flipkart. It will take on Samsung Galaxy J7 and Xiaomi Redmi Mi4c and Lenovo K3 Note Music. The all new Asus ZenFone 2 Laser 5.5 supports Dual-SIM (GSM+GSM), Micro SIM with 3G, GPRS/ EDGE, GPS/ A-GPS, Bluetooth, Glonass, Wi-Fi, USB OTG, and NFC comes with a 5.5-inch HD (720×1280pixels) IPS display with Corning Gorilla Glass 4 delivers stunning color consistency from almost any angle perfect for watching movies, playing games and reading e-books. Asus ZenFone 2 Laser 5.5 runs on Asus ZenUI 2.0 based on Google’s Android 5.0 Lollipop and powered by a Qualcomm Snapdragon 615 Octa-core processor with 3GB RAM and 16GB built-in-storage and 128GB external memory(ASUS WebStorage 5GB lifetime) makes multitasking a fun, gives immersive game environments and reducing power usage and heat. Asus ZenFone 2 Laser 5.5 offer you a 13-megapixel rear camera f/2.0-aperture, 5-element, auto-focus lens with real tone flash and Laser autofocus for photography in low light condition and secondary 5-MP front camera for clicking selfies and video calling packed with a 3000mAh/2070 mAh battery with fast-charging technology measures 152.5 x 77.2 x 3.9 ~ 10.8 mm (WxDxH) and weight 170 gm. While it’s predecessor Asus ZenFone 2 Laser launched at Rs 9,999. The all new Asus ZenFone 2 Laser supports Dual-SIM (GSM+GSM), Micro SIM with 3G, GPRS/ EDGE, GPS/ A-GPS, Bluetooth, Glonass, Wi-Fi, USB OTG, and NFC comes with a 5.5-inch HD (720×1280pixels) IPS display with Corning Gorilla Glass 4 delivers runs on Asus ZenUI based on Google’s Android 5.0 Lollipop and powered by a Qualcomm Snapdragon 410 quad-core processor with 2GB RAM and 16GB built-in-storage and 128GB external memory(ASUS WebStorage 5GB lifetime) offer you a 13-megapixel rear camera f/2.0-aperture, 5-element, auto-focus lens with real tone’ flash for photography in low light condition and secondary 5-MP front camera for clicking selfies and video calling packed with a 3000mAh/2070 mAh battery with fast-charging technology. Asus has recently launched, Asus ZenFone 2 Selfie priced at Rs 15,999 and Asus ZenFone 2 Deluxe priced at Rs 22,999 in Indian market. At last few honest word, Asus ZenFone 2 Laser 5.5 is the best smartphone under Rs 15,000. What you think? Please be open to give your view.